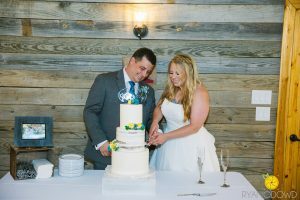 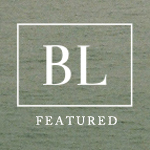 We have been so excited to have Ryan O’Dowd Photography at Rustic Grace several times over the past few months! 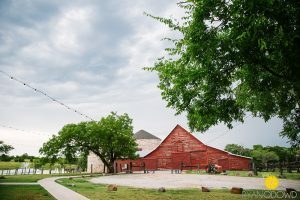 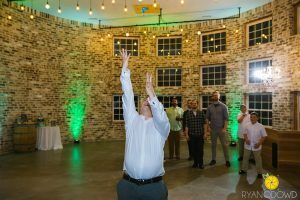 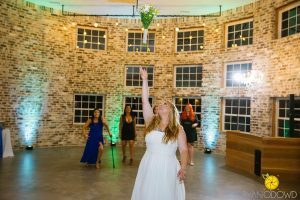 He always captures wedding days so beautifully, and we were especially glad to have him take photos of our brand new brick silos. 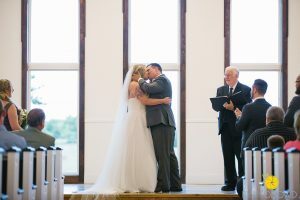 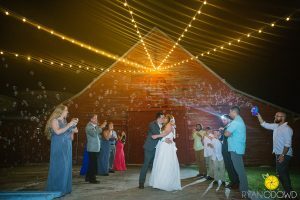 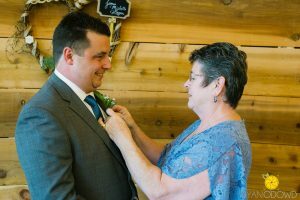 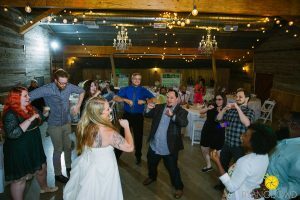 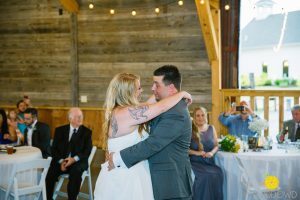 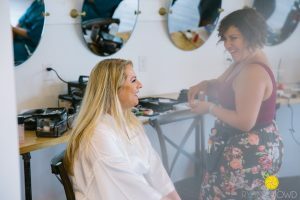 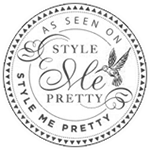 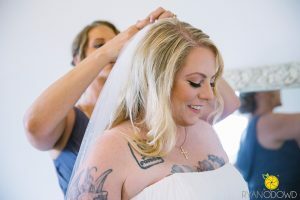 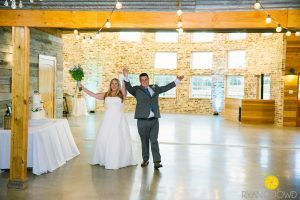 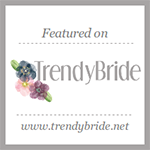 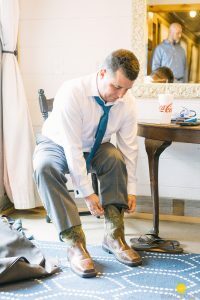 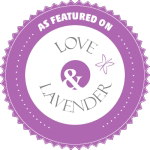 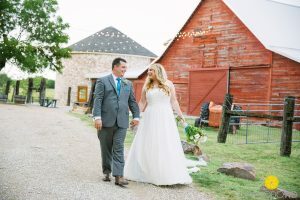 We just knew that he could help us show them off well, and this beautiful wedding was the perfect event to do so! 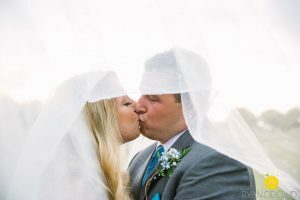 James and Michelle were married on a lovely July day, and everything turned out beautifully! 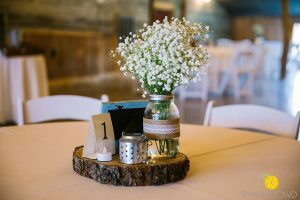 Wood slices with baby’s breath florals and votives adorned the tables in the 1920’s red barn, creating a fun and rustic feel for the reception. 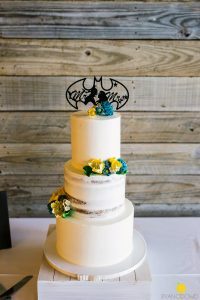 We also LOVED their simple and sweet wedding cake, complete with bright colored flowers and a Batman wedding topper to show off the bride and groom’s fun personalities! 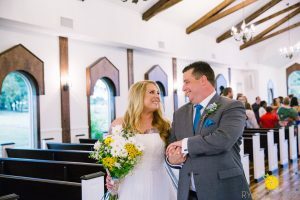 In the white wedding chapel, James and Michelle kept it nice and simple and let the gorgeous backdrop speak for itself! 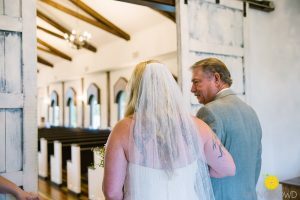 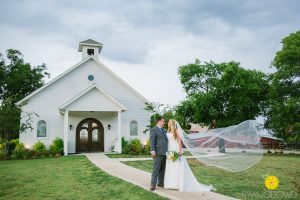 With the reclaimed wooden floors, vintage-style pews, and windows letting in tons of natural light, not much is needed to create an unforgettable ceremony spot! 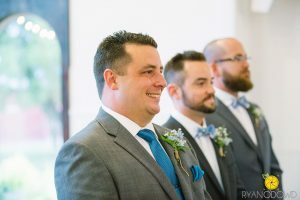 Our favorite thing about the ceremony, though, was the look on James’ face when he saw Michelle walking down the aisle. 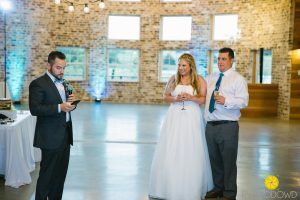 Be sure to check out that sweet photo below! 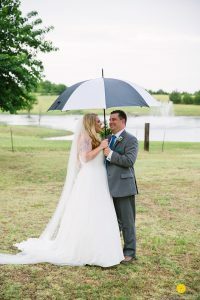 Even though it rained on their wedding day, James and Michelle made the most of every moment. 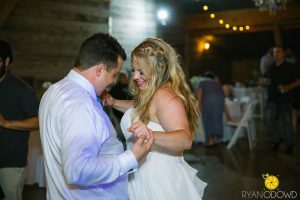 There wasn’t a second that we didn’t notice a bright smile on both of their faces! 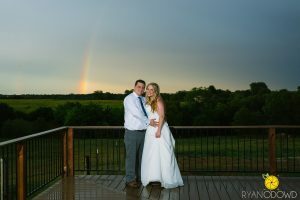 Whether they were taking photos outside in the rain (don’t miss the photo with the beautiful rainbow! 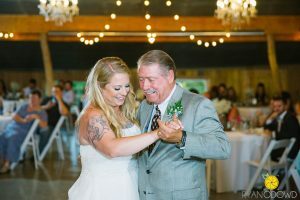 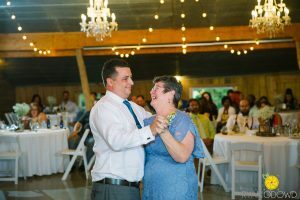 ), cutting their cake, or dancing the night away, you could just feel the love between these two all day long. 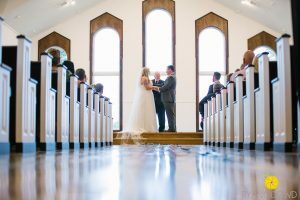 We feel so honored that we got to be a part of this wonderful wedding day, and we wish James and Michelle many years of wedded bliss! 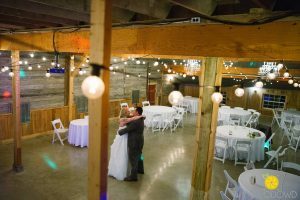 As always, we are so grateful for the wonderful vendors who made this such an amazing day!